Join us for a unique and unforgettable journey through the Land of Israel. You will be amazed and delighted at the modernity of the country as we experience post-1900s sites. Your heart will be moved as we visit modern-day battle sites and open our eyes to the reality of Israel’s militaristic society. We will celebrate Israeli Independence Day among the people on the streets of Jerusalem and feel the mournful loss of Israel’s young sons, brothers, and friends on Memorial Day. 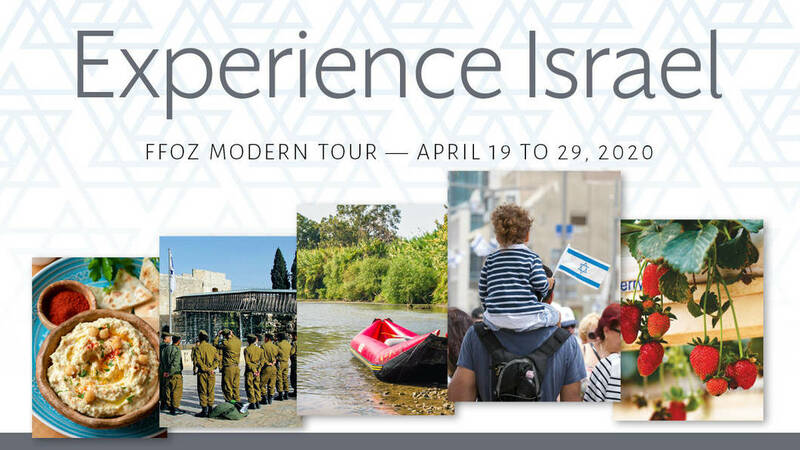 No other tour will allow you to experience Israel like this as we kayak the Jordan River, jeep the historic “Burma Road,” and walk the “Salad Trail,” picking and eating of Israel’s delicious produce along the way. This is your opportunity to truly touch the physical land and attach to her people. Come with us, and be inspired at the beauty, productivity, cooperation, and ingenuity of this Modern-day Miracle: The Land of Israel. 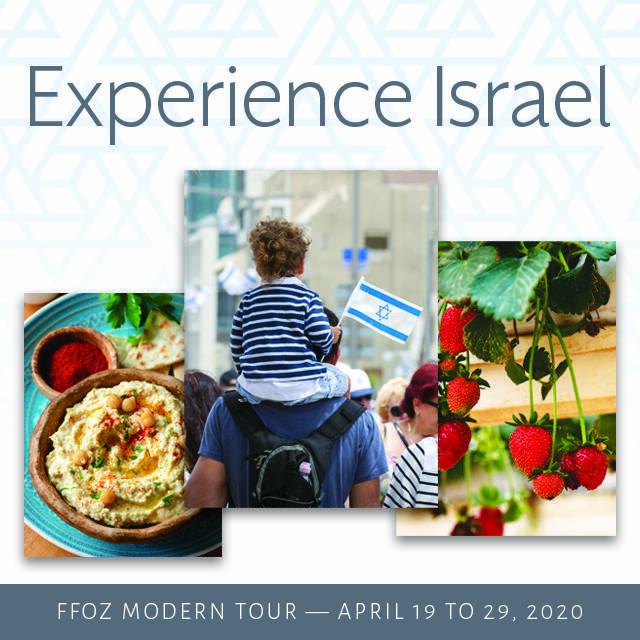 If you have any immediate inquiries, please contact the FFOZ Israel Tours Department. First Fruits of Zion can present a variety of teaching seminars designed to educate and build up the body of Messiah, and are offering to hold seminars in your community. Contact our Event Coordinator if you would like to host one of our teaching seminars.